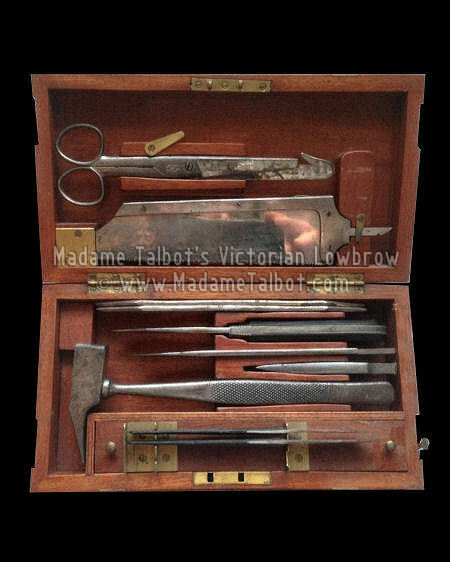 A very nice, original Post Mortem Set. To aid in the preparation of the body. Circa 1875; Fantastic, brass bound wood case. Interchangeable knife and saw handles labeled REYNOLDS & BRANSON LTD. There are a few nicks and scratches to instruments. Any rust noted is very superficial .